With a year passing since Chile banned smoking in casinos, year over year numbers have shown a 24% drop off in takings at their gambling venues. 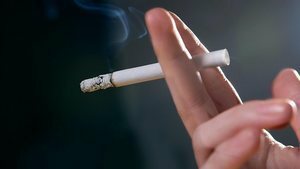 Since March 2013, smoking has been disallowed in casinos across Chile, which has the highest percentage of adult smokers on the planet, about 40%. Coinciding with this separation of gambling and smoking, a 24% decline in revenue. Despite efforts to draw back players who may have stopped gambling altogether as a result, such as detached buildings where smoking is allowed, lost income has not started to recover yet. The smoking ban, though put in place for the right reasons, including the health of everyone on the premises, brings Chile in line with nearly every other country in the world which has legalized gambling. Other areas have managed to recover and continue turning a profit while instituting these bans, despite most showing dips in revenue in the first stages of it. The gamblers leaving the casinos in Chile, companies would be wise to seize the opportunity to expand and strengthen the online gambling market since the players would still be able to keep their habit as well as play their games. South America on the whole is ripe for the expansion of this segment since there are so few iGaming companies working there with many operators turning up their noses thinking of it as a substandard market due to long histories unstable political situations. Despite what some outside games developers may think, there are success stories from Latin America which serve as examples of what the online gambling market can offer there. Akamon, a Barcelona based developer, has been running social casinos which appeal to the population which is dominated by younger, more technologically inclined people, and having great success so far. Codere and IGT have made headway into the Mexican market and draw impressive income for their efforts while functioning well within the laws of the country. All of these examples have even inspired the governments of countries like Peru and Colombia to begin researching the possibility of creating regulation for gambling operators to come to them as well. With nearby successes in the online gaming market, the casinos of Chile may see a return of most of their regular customer base as has been the case with other places which implemented smoking bans, or the country may swing towards a more iGaming friendly model which could capture an even larger, previously untapped portion of the market. For the same of national revenue, the country needs to keep those inclined to gamble engaged on some level, be it land based or online, and month over month comparisons will quickly start to reveal which way they should go to save gaming in Chile.